Vince Stingl establishes a hard pottery workshop in Herend. Mór Fischer buys the Manufactory from Vince Stingl and his partner, regular porcelain manufacture begins. “Herend Begins” Read more! London, Great Exhibition: Gold Medal. Paris, World Exhibition: First Class Medal. Mór Fischer is raised to Hungarian Nobility, thereafter bearing the former name “Farkasházy”. The factory has 83 workers, and 3 large and 6 small kilns. Fischer’s son fail to overcome difficulties and sell the Manufactory to the state. 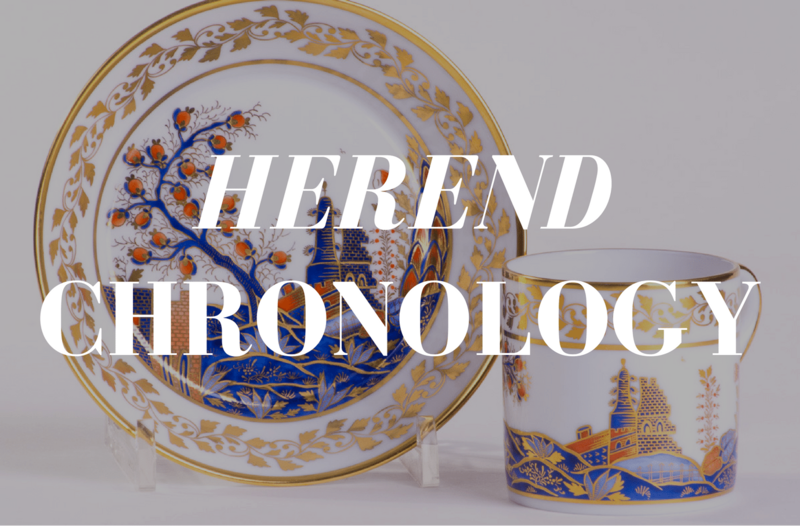 The first Herend Porcelain Manufactory Ltd. is founded. The Manufactory is closed, the same year is bought by Jenő Fischer, Mór Fischer’s grandson. World Exhibition, Paris: Gold Medal. During the First World War output was reduced to a trickle, most of the workers were called up into the army and the factory was hardly able to function. The Manufactory is turned into a joint-stock company with Dr. Gyula Gulden as managing director. Philadelphia, International Exhibition: Gold Medal. Chicago, World Exposition: The American market opens up to the factory. Number of employees: 140, with a third of products made for export. Bruxelles, World Exposition, Grand Prix. Herend Porcelain Manufactory is nationalized. Herend, through its valued foreign trade, earned significant hard currency for the country. The number of employees increased to 759. Herend is separated from the Fine Ceramics Industry Works and becomes an independent enterprise. From the early 1980’s Herend regularly takes part in the Frankfurt International Fair. 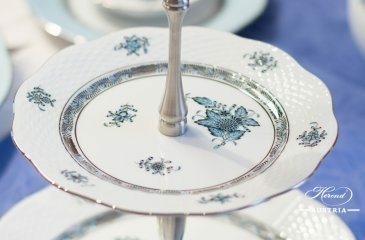 The Community of European Porcelain Makers is founded: six manufactories with long tradition of crafting hand-made porcelain (Vienna, Berlin, Herend, Ludwigsburg, Meissen and Sevres) conclude an agreement to foster the idea of manufacture (making their own ware, hand painting, nurturing applied art traditions and training apprentices). 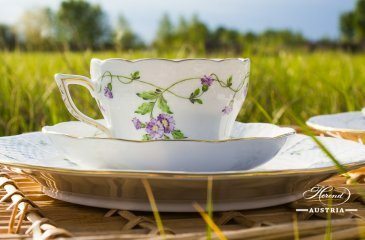 On 30th of June the Herend Porcelain Manufactory Ltd. is founded as the legal successor of Herend Porcelain Manufactory. Series of Exhibitions in large American cities (from New York to Los Angeles) with demonstrations by Master Painters. The number of employees reaches 1583. The first independent Herend Shop opens in the Raffles Hotel in Singapore. Imre Schrammel is appointed artistic director. Herend Shop in luxury Hotel Adlon, Berlin. 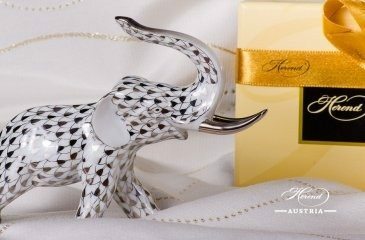 Herend Austria opens in Vienna. This is where our story begins. If you are interested in the story of Herend Austria and Herend Experts, visit the page “About us“.